How Many Outlets Do I Need? Often DIY builders ask the question, “How Many Outlets Do I Need?” The real answer is, it depends. Electrical outlets must be installed in every kitchen, family room, dining room, living room, parlor, library, den, sunroom, bedroom, recreation room, or similar room or area of dwelling units. Outlets must be installed so that no point along the floor line in any wall space is more than 6 feet measured horizontally, from an outlet in that space. Receptacles shall, insofar as practicable, be spaced equal distances apart. Ultimately, the number depends on your overall square footage. This requirement is primarily to prevent the use of extension cords. 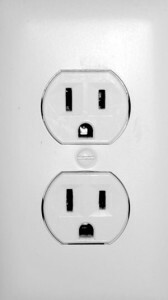 Usually, outlets are placed around 18 inches above the floor. Switches are typically about 48 inches above the floor. 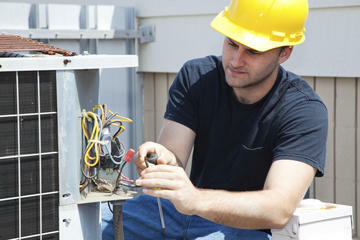 Window air conditioners and appliances should be on a single dedicated circuit.